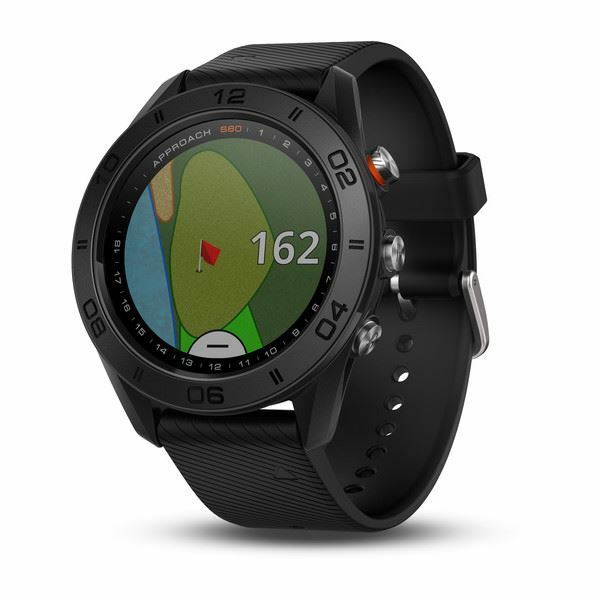 The sleek Approach® S60 GPS golf watch includes our most sophisticated golf features and it makes a bold statement to the game of golf on and off the course. Get the relevant information you need for your round — intuitively presented on a large 1.2-inch sunlight readable colour touchscreen — so you can master your game. And with convenient QuickFit™ bands, you can change your style to match your activity. Measures shot distances and auto-records detected shots for post-round analysis on your Garmin Connect™ account. View hole-by-hole details for more than 41,000 courses worldwide. Preview doglegs, traps and water hazards, green shapes, and pin positioning from wherever you are on the course or clubhouse. 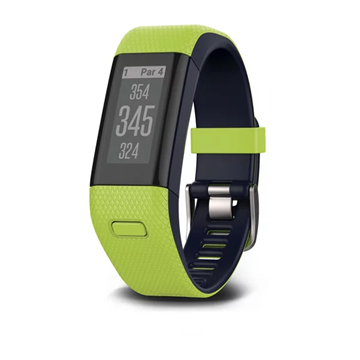 Adjusts your flat yardage based on whether your target is uphill or downhill. It does all the calculating of where in the arc of the shot (short or long) your ball will hit, relative to flat yardage. Reminds you to stay active on or off the course with move bar alerts. Displays steps, calories burned, distance and time of day plus it monitors hours of sleep. 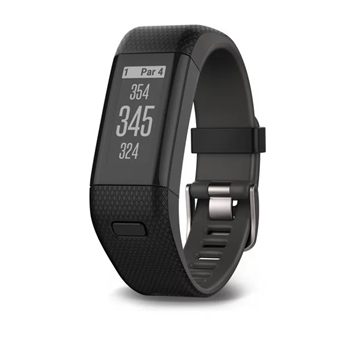 Use for more than just golfing with preloaded sport apps and activity profiles for running, cycling, swimming and more.